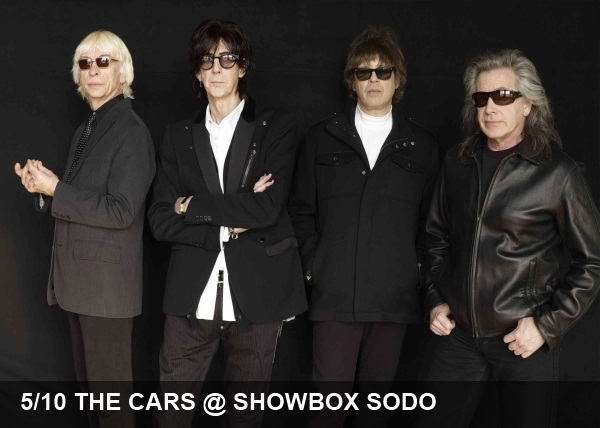 Though we were admittedly first introduced to Ric Ocasek in our preteen years as that guy who produced Weezer’s debut in ’94, once we cracked open our parents’ record collection in the following years we quickly came to appreciate the pop genius that is The Cars. Up there with The Kinks and Elvis Costello, we’d cite The Cars as legends from yesteryear who helped shape our appreciation of Oldies beyond The Beatles, Stones and Beach Boys. Unlike the previously mentioned acts outside of Costello, Ric Ocasek and crew are still going strong and have been delighting fans with their live show since the bands reunion last year and their brand new album, Move Like This, that hits shelves today. If you were lucky enough to get tickets, head to Showbox Sodo tonight to see the big show for yourself.